Trayvon Martin Has Martin Luther King Jr.’s Support! Unarmed 17-year old Trayvon Martin, was confronted & killed by 9millimeter gun, armed by George Zimmerman, 28yrs, who is not a recognized Neighborhood Watch member, as he claimed to be on February, 26th, in Sanford, Florida. This chilling case has sparked a national outcry for justice; as no arrests have been made to-date & new information develops. 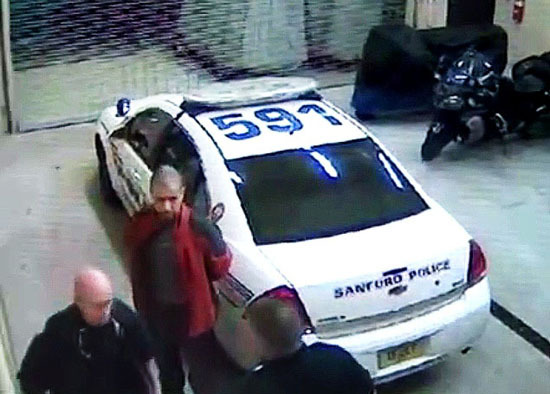 Zimmerman, 250lbs, called 911 (nearly 50times during a year period) was advised by a police dispatcher not to follow, Martin at 140lbs, claiming he looked suspicious wearing a black hooded sweatshirt. Failing to adhere to police instructions, while violating the central tenets of carrying a concealed weapon; Zimmerman shot Martin, in the chest, declaring it self-defense as the 140lbs teen carrying Skittles & Iced Tea allegedly attacked him. Surveillance cameras clearly capture Zimmerman less than 30mins after the shooting, walking steadily through the police station and his face, head & light gray shirt appears free of any visible signs of blood & no apparent injuries; contradicting documented police report there was blood on his head/nose and that he was treated on the scene. The video disproves the life or death struggle Zimmerman expressed. Last night Piers Morgan interviewed Zimmerman’s brother, Robert Zimmerman Jr. on CNN. Addressing the accusations of racial bias, he called his brother “the neighbor that everybody would want to have.” This must explain Zimmerman’s current actions while living in hiding & avoiding murder charges. The reality is that Zimmerman had two prior arrests: one for assaulting a cop & the other for domestic abuse. 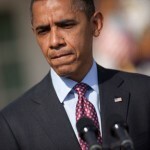 President Obama, spoke personally & passionately affirming, “If I had a son, he’d look like Trayvon,” The president urged that it’s “absolutely imperative” that every angle of the case be investigated. “All of us have to do some soul searching to figure out how something like this happened.” Bolstering efforts to hinder Trayvon’s, innocent image, has mother, Sybrina Fulton, crying out, “They killed my son, now they’re trying to kill his reputation!” The innocent victim wearing a hoodie could have also been a Harvard-educated entrepreneur. The situation does not change and this should not have occurred. Geraldo Rivera may have triggered the hoodie movement by forewarning, “I am urging the parents of black and Latino youngsters particularly not to let their children go out wearing hoodies. I think the hoodie is as much responsible for Trayvon Martin’s death as much as George Zimmerman was…” Later Rivera apologized for his statements as being politically incorrect & admitted via twitter that his son, Gabriel, was “ashamed” of the stance he has taken on wearing hoodies. 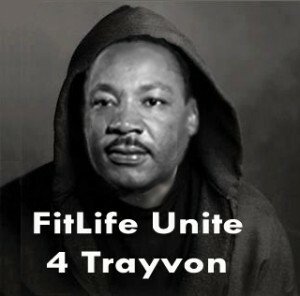 Celebrity Fitness Trainer SusieQ, says “Martin Luther King would be wearing a hoodie leading the Million Hoodie March seeking justice for all, if he were alive today! I worry for the young black men today and for anyone being treated unjustly. It is imperative for all of us to unite & be the dream. This goes far beyond wearing a hoodie; as we all have the power to ignite change & address gun proliferation & violence.” Unfortunately, the “Stand Your Ground” law in Florida is the only state in America where an individual can raise a claim of self-defense after killing someone in public (Provides immunity from arrest unless the police have probable cause that the force that was used was unlawful). Thursday Rep. Bobby Rush was admonished from the U.S. House floor, as he began to say “Racial profiling has to stop, Mr. Speaker. Just because someone wears a hoodie does not make them a hoodlum.” While speaking, Rush began removing his suit coat, revealing the hoodie he placed over his head, in deliberate violation of dress rules & was escorted out. The hoodie has become a symbol of social injustice, against racism & in support as millions of people including National Basketball star LeBron James and teammates, among celebrities posing in hooded garments, while rallying ”A Million Hoodies for Trayvon Martin”, taking pictures & signing online petitions calling for Zimmerman to be prosecuted! 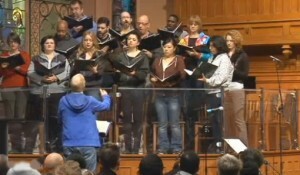 Sunday Church fashionable attire was exchanged for hooded sweatshirts nationwide in memory of Trayvon. “How do we turn pain into power?” asks, Rev. Jesse Jackson while preaching at Macedonia Missionary Baptist Church, “How do we go from a moment to a movement that curries favor?” Jackson calls Trayvon Martin a “martyr”. “The blood of the innocent has power,” says Jackson, while mentioning slain civil rights figures of Medgar Evans, Martin Luther King, Jr. & Emmett Till, referring to the 14-year-old boy, who was murdered for whistling to a Caucasian woman. The brutality became a pivotal event motivating the African-American Civil Rights Movement, more than a half-century ago in Mississippi (Two men were arrested but, acquitted by a jury & later admitted to the murder in 1955). Since 2008-2009 over 2,500 Young African-American males have been murdered in this country, they make up less than 15% in our society but more than 45% are homicides, which is a true tragedy. The National debate continues, as this case is very significant in our lives; but, what role will you play? Should this be left in the hands of the state & federal authorities? Or should the people throughout this nation demand a change? 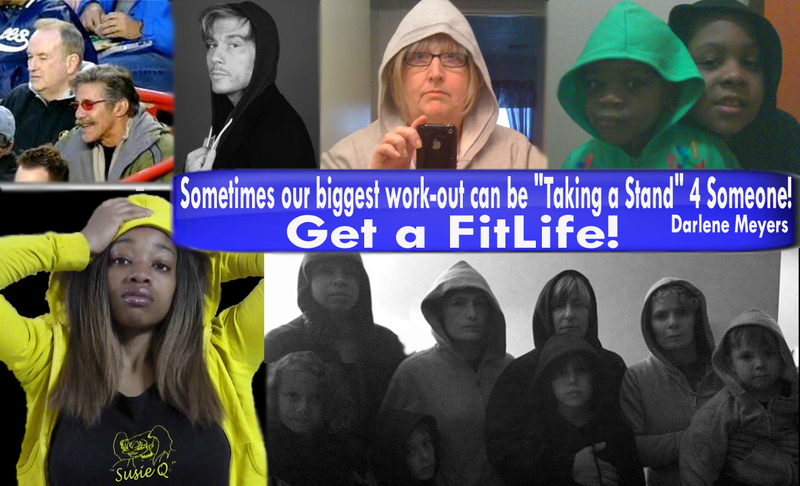 A Million Hoodies for Trayvon Martin on SusieQ FitLife! Hoodies Up!